One of the most polarized issues between pet owners, other than dogs are better than cats and whether you should keep mammal eating snakes around children, is the positive evaluation of pit bulls by dog lovers. Like all emotional arguments, it is heavily based in anecdotal information and rarely in statistics, and says much more about the reasoning skills of human beings than it does about either the dogs or their danger to society. The arguments are familiar. 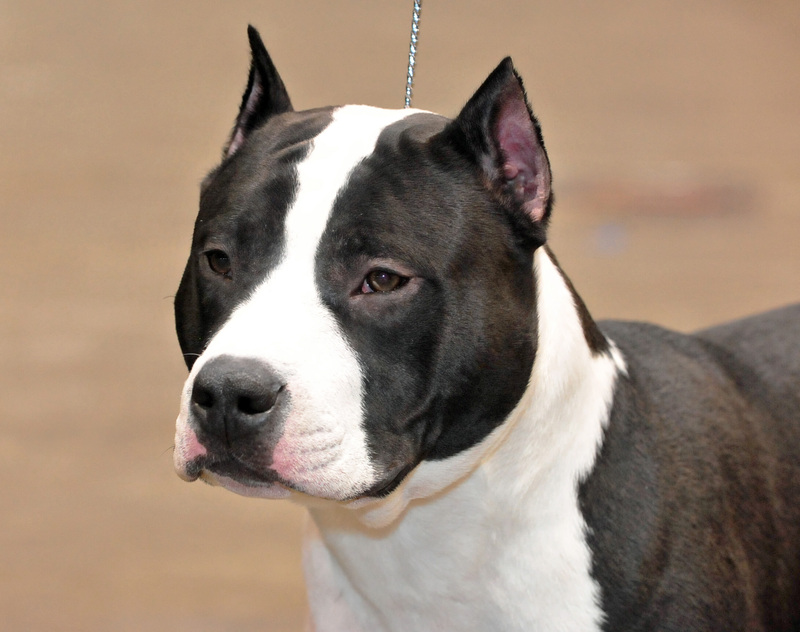 Typically they arise after a pit bull (or American Staffordshire Terrier), or some mixed dog breed misidentified as a pit bull, has attacked someone, especially a child. The pervasive fear for our children that kept our species alive means that we respond vehemently to any threat. Oddly, when the threat is pit bulls, the response varies, however. The arguments usually come down to a shouting match between those who push for outlawing the breed or description entirely, and those who say that such a policy is discriminatory and that people who train them poorly are the problem, not pit bulls. 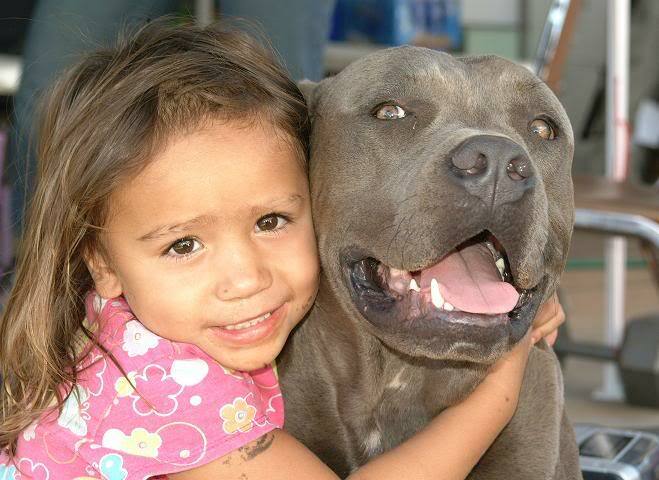 The people who propose banning the pit bulls often cite the huge number of pit bull attacks. This is more of a North American problem since the breed is particularly popular here and we often have little in the way of protections for the general public since that would get in the way of our lack of freedom. The advocate for not allowing the breed would cite something like the 2015 stats on attacks: In 2015 forty-five people died as a result of dog attacks, and pit bulls make up thirty-three of those cases. Of the five hundred and sixty-nine disfigurements, pit bulls did most of the work, disfiguring four hundred and fifty-nine people. The reasons for their vitriol against these dogs might be emotive, for they worry about protecting their children and themselves from irresponsible dog lovers, but they know better than to rely on anecdotal information. They usually cite statistics to support their case, although they are assisted, it is true, by the fact that there are statistics to support them. The people who are the most vocal defenders usually argue that pit bulls are especially sweet—for some reason they exaggerate the disposition of the breed—and would never do anything to hurt anyone (any more than a Chihuahua), without being especially trained to do so. They rarely worry about facts. Often they rely on pictures of happy pit bulls sitting next to their children, and cite their own experience of how wonderful their dog was. At first glance they seem incapable of understanding how such an animal could turn into an attack dog and we might believe that their incomprehensibility has made their appreciation of facts difficult. This is a ruse, however, for they know quite well what the animals are capable of. The main difficulty that I have with what really is a disingenuous argument—as an outsider who doesn’t believe we should cage up another species for entertainment—is the defender’s insistence on a particular breed. If you choose to have a dog, why do you fight for the right to have a dangerous dog? Surely any dog will do. Even the most avid supporter of pit bulls must understand at some level that those are dogs bred especially to fight. If that is so, why do you insist on that dog? Wouldn’t another breed be just as sweet when sitting next to your children? When people call for a law to ban pit bulls, these people cry foul, and often drag out the Nazi genocide to lend support to their case. They claim that the government will take your pit bull first, and then come for your dachshund. It’s a slippery slope, they say, as though their right to have a pistol is somehow equivalent to their neighbour’s nuclear weapon. There is an easy resolution to this problem and no one has to suffer, although even as I propose it I fear it doesn’t reach the, as yet unstated reasons those people have a pit bull. We bred these dogs from a wolf-like ancestor over many thousands of years. These are not different species. They are all fertile when bred to each other. If we abolish a particular breed that does not affect the species of Canis familiaris any more than preventing people from driving an SUV in the park affects the production of Volvos. It would be a relatively simple matter to breed the pit bull out of existence just as we bred it into existence. That does not actually address the root cause, or the desire those people have for pit bulls that runs far from, and away from, their sweetness. The problem, and here I share the argument of the pit bull advocates, is the owners. When people are arguing for their right to have a pit bull, they are not interested in a collie temperament in a pit bull body. They say the dogs are not killers unless trained into it, but they actually have the pit bull traits and the potential to enact those attributes. The advocates for the breed are not necessarily attracted to any particular element of the pit bull anatomy—here we may have to momentarily ignore some isolated perverts online—but they are interested in the attack component of their personality. What they are fighting for is not the sanctity of the breed—the fear that our various failed experiments in breeding will not all survive—what they want is a killer dog. They prop the dog beside their small children because they want to protect them. The urge they have to keep a pit bull is the same as the person who wants to get rid of the breed, if they were but to admit it. They both want to protect their children. They merely differ on their approach. What they need to do, and this is a problem with all of us and our ability to argue logically, is admit the truth. 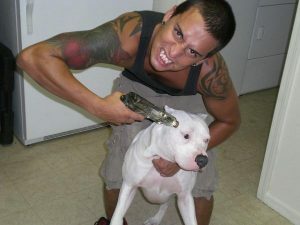 The pit bull supporters want a killing machine. They would not be happy with a dog that looked like a pit bull and was actually sweet. To ensure they have the right to that killing machine, they are prepared to risk their children’s life, and that of their neighbours. They cover this risk with statements about how it is not the dog but the trainer that makes it a killer, but if the Chihuahua is turned to an attack dog, even the most avid pit bull lover would have to agree they could do less damage than a more massive pit bull. To be honest in their argument, they have to say: “I want a dog that can kill, that will kill if I command it to, and I am willing to risk your life for that desire.” They would then be able to stand behind their true reasons and neglect the cute photos of puppies. They could cite statistics of human attacks foiled by dogs. Of children pulled from ponds by watchful dogs. Of dog lovers protected from burglary by their loving pet. Then they could make a rationale that a larger, more dangerous dog would make that protection all the more effective. They might find themselves in a bind with the numbers, as unprovoked dog attacks might end up being more common than dog protection, but at least they would be speaking the universal language of proof instead of the childish wish fulfillment of anecdote. 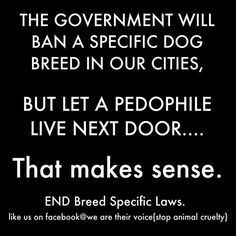 As well, and this is much more valuable, they would be reaching across the divide that separates them from the person who wants to ban the breed. We both care about our children, they could plea, and their former opponent might realize they have common ground after all. They might not have much of an argument, that of the dog as weapon, but the argument that my dog is sweet and that’s worth the risk to your child’s life is not one that is convincing anyone right now. This entry was posted in Culture and tagged dog killing, pit bulls, rational argument. Bookmark the permalink. This page of writing is extremely untrue. Who ever wrote this page has never had a pit bull. But I have, like twelve of them. They never hurt a thing. You are most likely to get bit by a lab than a pit bull. the author just read the bad things that pit bulls have done over the years. My pits are extremely nice. I agree that pits have done a couple of bad things. But not even close to the other type of dogs. People are just afraid of them. Afraid because they know that they are strong and good fighters. That doesnt mean they will always use that. THEY ARE GREAT PETS. Best dogs ever. Thanks for taking the time to comment, Lauren. 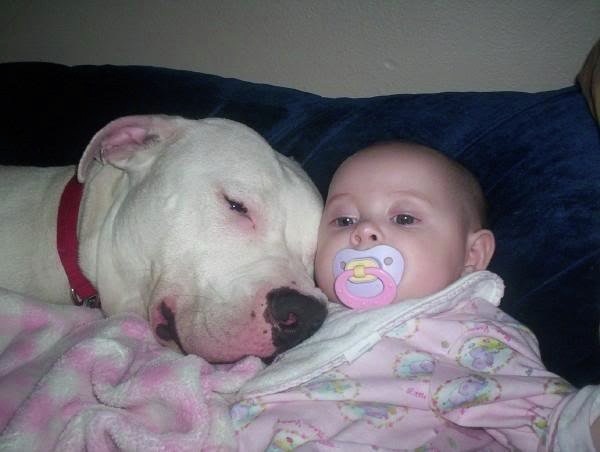 Your logical basis is, as I read it, that your pit bulls are nice therefore pit bulls are all nice. Could this be false for other pit bulls that you didn’t train to be friendly? You also say that their attacks are not as common as those of other dogs. Do you find it troublesome that the statistics do not support that claim? That the attacks of the beagle rarely result in problems while those of pit bulls are more consequential. Should this be a societal concern? My main focus in this post was that I don’t understand the fascination with that particular breed when surely another dog breed could prove to be equally if not more nice. You know that there are statistics about this right? Labs do have the potential to kill people (in fact 3 people were actually killed by labradors in 2016), but it is a lot less than the 22 deaths caused by pitbulls in the same year. Considering labs are the most popular dog breed in the US, this shows that a hugely disproportionate number of deaths are caused by pitbulls compared to labs. It’s disproportionate, but not surprising, considering that one of the main reasons for labs’ popularity is the fact that they’re notoriously friendly and kind towards children. I don’t understand the people who advocate pitbulls as being “the best dogs ever”, or some other argument that admits that a dog’s temperament is hugely influenced by its breed. You’re admitting that pitbulls have different personalities from other dogs, but you still expect people to believe that those personalities happen to be the exact opposite of what the dog was bred for? Give me a break. I’ve actually met several pitbulls who were lovely dogs with a responsible owner, but this is anecdotal, and doesn’t refute the statistics. People who train their pitbulls to attack are obviously to blame for a lot of the more recent deaths, but these dogs were only attractive to those kinds of people in the first place because of their longstanding history of being vicious. Sure, you can also blame bad breeding, but are you really under the impression that nobody was breeding them to be aggressive back in the days when they were literally fighting dogs? Trying to rebrand a potentially dangerous animal as an ideal pet is almost as irresponsible as training them to fight. There are plenty of other breeds that have proven themselves as gentle companions. Nobody needs a pitbull, and if you choose to get a dog that is famed for it’s violence, then don’t complain when people are wary.